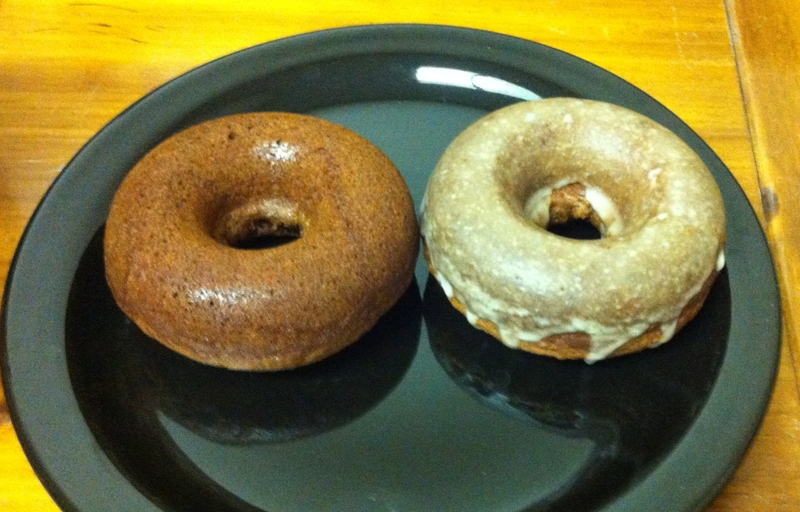 These doughnuts are phenomenal! I found this recipe on a website dedicated to healthy food. Even though there aren’t many posts and it hasn’t been updated in 9 months, there are some great sounding recipes there that are worth checking out. I love that these are baked and not fried, plus they can be totally vegan. I’ve never tried egg replacement products before, so I slightly tweaked the recipe to include real eggs instead. Preheat oven to 350. Grease doughnut pans, if necessary. In a large mixing bowl, combine first seven ingredients with a whisk. In another bowl, combine remaining ingredients. Stir well with a fork to make sure that the molasses is evenly distributed. Add the wet mixture to the dry. Mix until just combined. 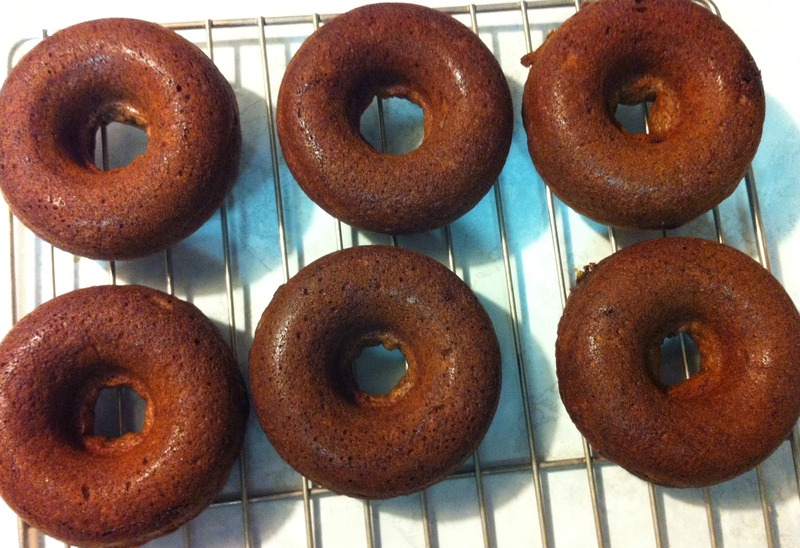 Scoop all the batter into a ziplock bag, cut the tip and pipe evenly into the doughnut pans. Bake 10-13 minutes or until a toothpick inserted in the doughnuts comes out clean. Let them sit in the pan for 5 minutes before flipping them out onto a wire rack to finish cooling. While the doughnuts are cooling, prepare the glaze. Using a whisk, mix the ingredients in a small bowl, but one that’s big enough to fit the doughnuts. Adjust the consistency depending on your preference. I ended up cutting this in half, and there was MORE than enough. Once the doughnuts are completely cooled, dip the tops in the glaze. Place them back on the rack to drip and harden. Make sure to place a piece of parchment or paper towel underneath to catch the drips and keep your counter less messy. As you can see, I made some with the glaze and some without. The doughnuts have enough flavour/sugar in them to be fabulous on their own, but you can’t really pass up a doughnut with a sweet and sugary glaze!